Last week I finally decided to print out photos to put in an album, the old-fashioned way to look at family pictures. I ordered prints from 2011. 2010 and 2012 would have almost tripled that order so I'll wait a bit until I've sorted the 2011 lot! I did come across some nice snapshots from various outings or trips including the ones below from a day in San Diego in May 2010. 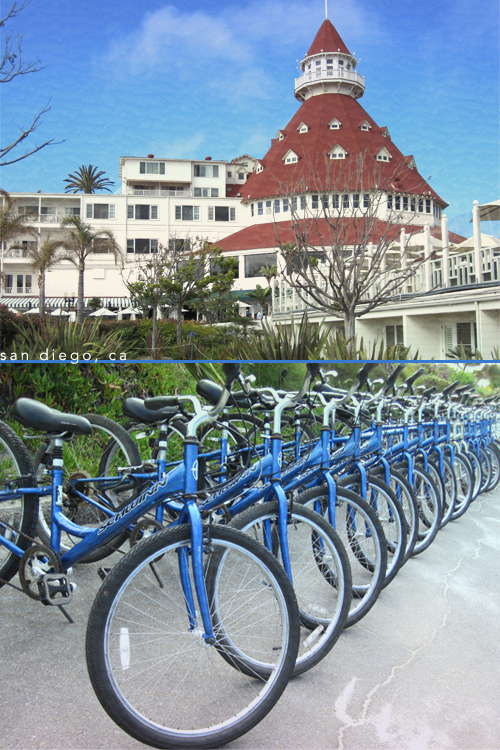 Shown is the iconic Hotel Del Coronado and some bikes down by the beach.